Last year at this time, I was finally able to relax after finishing up the Hamptons, Cottages and Gardens Showhouse. It was a great success and I had an amazing time being a part of it. I was responsible for the mud room-the smallest room in the house-so I knew I had to kick it up a notch. 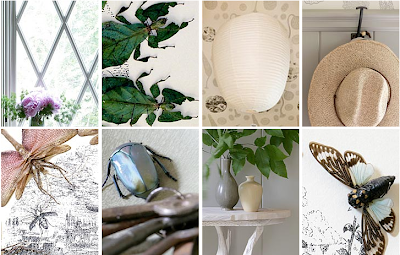 What better way to do that-than pinning actual insects on all the walls. It definitely created quite a buzz....click here for more images! 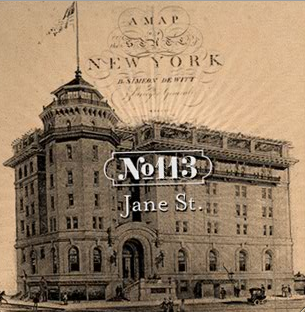 Sean MacPherson and Eric Goode (the dynamic duo behind some of our favorite local hotspots-Maritime Hotel, Bowery Bar, and the Park) recently purchased and have already begun renovations on the old Jane Hotel in the West Village. Originally built in 1908 for sailors, the hotel has a few rooms ready and is open for business. They've still got a way to go, but in the meantime you can get a room for only 99 bucks a night-but be warned...all the rooms share a communal bathroom which could be good or bad-depending on your "sweet"-mate!